I ask you, what could be more fun than running in the mud? Precious little from where I’m sitting. 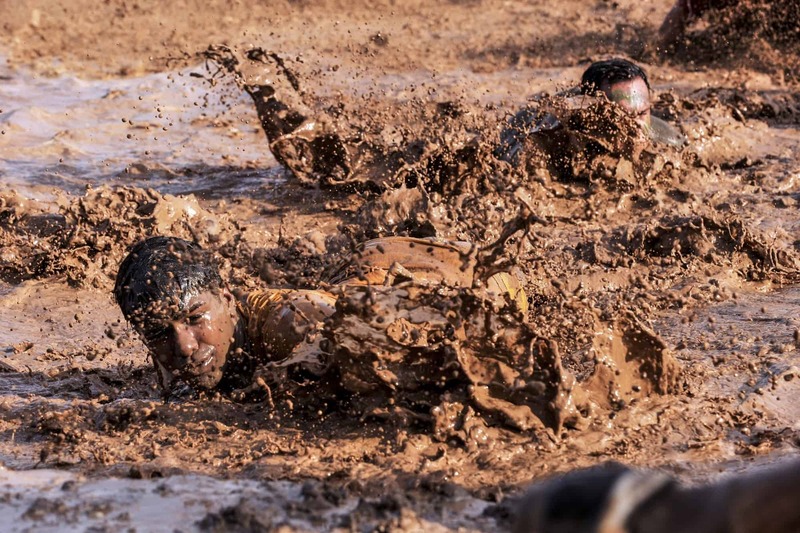 A mud run is an endurance test, usually for fundraising, fun and or fitness. It’s a military type of course to challenge the runners to run, hike, climb, crawl and jump through very often extreme obstacles. If you are considering taking part in one, there are a few things to keep in mind. Don’t worry that you are not in the best of shape. If you are participating for a good cause, like raising money, trying to impress a new love interest or even just for fun, you can compete and complete at your own pace. You can walk, rest, smoke ‘em if ya got ‘em at your own pace, so if you are joining for a cancer fundraising event or similar, don’t worry about it. However, if you are really out of shape and don’t exercise, you may want to train a bit before the run. It’s a good idea to check with a medical professional if you are not sure. As a rule, these events are all-ages, so if a nine year can kick it, what are you worried about? The course may be rather rough and demanding, so if this is the type of mud race where there is a theme or costumes used, think about that carefully. You still need proper shoes, running gear and clothes that won’t bind or drag you down. You also will need protection, elbow and knee pads might help but long sleeves or protection against the elements. Light clothing are best, durable but breathable. You will need good, heavy absorbent socks, good durable shoes and you will also need a backup of all of these things. Extra socks, clean shoes and clean clothes for afterward, if you think you will need to change. Also, towels, washcloths, and something warm to cover up with, if needed. Also, a garbage bag to get them there and then carry the soiled ones out. Chances are this event is for a particular reason, you want someone with you, for encouragement, for help, for support, to pick you up when you fall and yank you out of the mud. You may well need a hand getting over a wall, under a gate or barrier and you will need to laugh at them when they fall in the mud. You will want to laugh at yourself, as well. It’s just better with a mud buddy. Fuel up before the race, just not too soon before. Think about high energy snack foods to bring along before the race, bananas, nuts, or multigrain bread. You will need to hydrate before the run and during, if it’s not provided along the way. Carrying may be an issue, so be sure to make provisions for that. A good method is to carry dry energy drink mix because it’s light and packed with the nutrients you need to carry on. There will almost always be some type of emergency personnel on hand for these events, but in case of a slight scrape, bruising or other minor injuries, you may want to have a few bandages or gauze with you. You hardly want to call the ambulance over for a ‘boo-boo’ on your knee, so be prepared to cover it yourself until you finish the run. It might be a good idea to keep a small first aid kit in with your dry clothing, just incase you or someone needs minor attention. Have fun, be safe, do your best, enjoy yourself, get dirty.